1735  Earliest known date of existence (2, p. 1). John Vanderhorst was granted 390 acres of land (2, p. 1).
? 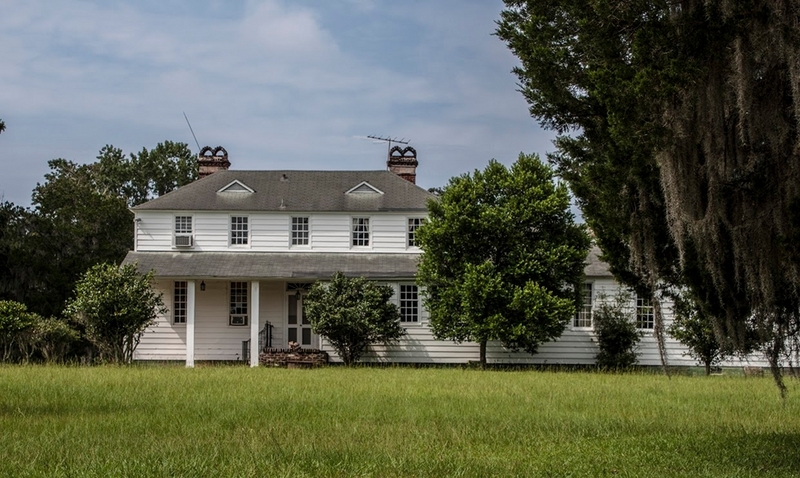  William Vanderhorst inherited the property from his father John Vanderhorst (1) (5, p. 653). 1756  Thomas Lynch II purchased 390 acres from his second wife's brother, William Vanderhorst (5, p. 653). 1760  Thomas Lynch II sold four tracts, including the 390 granted to Vanderhorst in 1735, of land totaling 1,170 acres to Francis Kinloch (5, p. 653). 1767  Francis Kinloch died willing Rice Hope to his son James Kinloch (5, p. 654).
?  James Kinloch died shortly after his father and his bothers Francis and Cleland became owners of Rice Hope (5, p. 654). 1789  The Kinloch bothers sold to partners George Lockney and Edward Crook (1) (5, p. 654). Circa 1809  Lockney died and his will directed that Rice Hope be sold to pay his debts and the remaining funds raised from the sale be given to his heirs (5, p. 654). 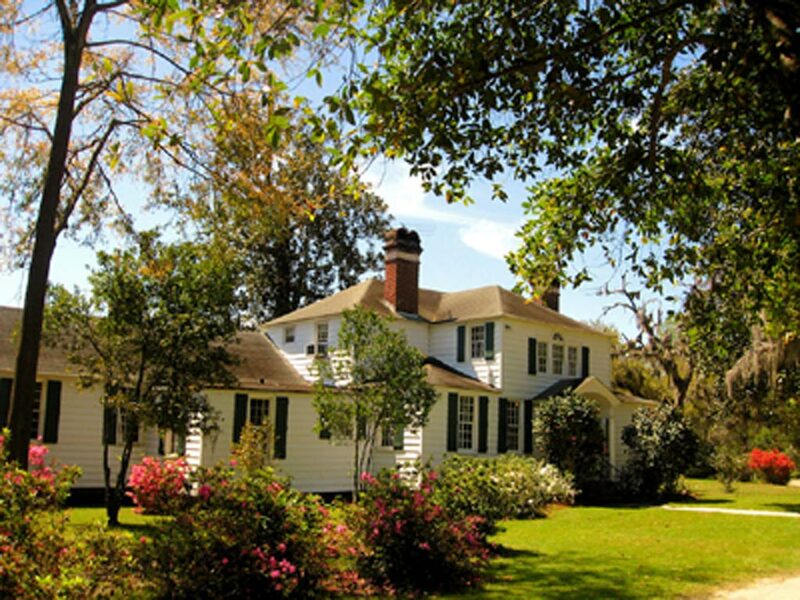 1817  Johnathan Lucas Jr purchased the plantation. Lucas developed machinery that greatly improved rice milling (5, p. 654-655). 1831  Johnathan Lucas Jr died leaving all his property in South Carolina to his wife Sara Lydia Simons (5, p. 655). 1836  Johnathan Lucas Jr's will was proved in this year and Rice Hope was transferred to Lucas's son Simons Lucas who made his home at the plantation (5, p. 655). Circa 1836  Simons Lucas built a house on the property (1). 1843  Simons Lucas gave 411.7 acres of the eastern section of Rice Hope to his brother Henry E. Lucas. 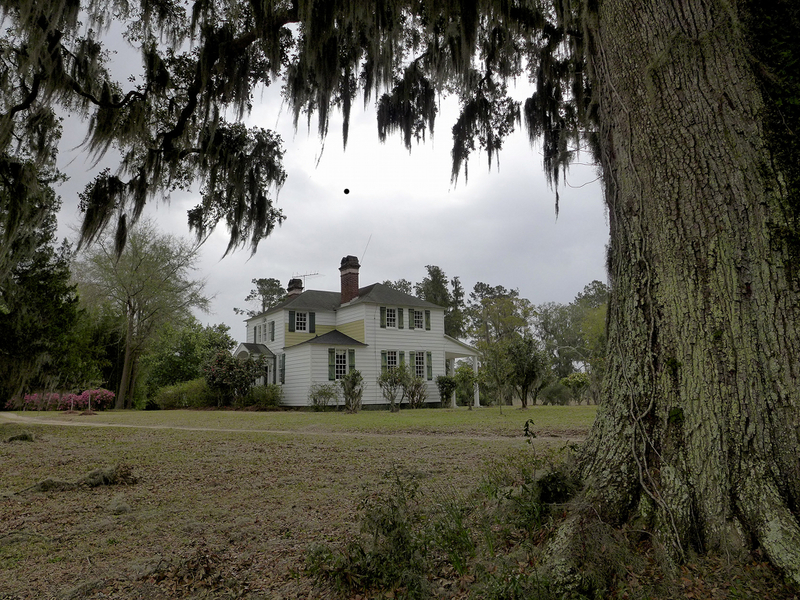 Henry would name his property Woodside Plantation (5, p. 656). Circa 1865  Simons Lucas's oldest son, William Johnstone Lucas, became the owner of Rice Hope upon returning from serving the Civil War (5, p. 656). 1896  William Johnstone Lucas's daughter, Mary Ashe Lucas, married Frederick Wentworth Ford. Ford purchased the rice plantation from William and ran it until 1908 when a flood destroyed the rice fields. He tried to rebuild the fields but his efforts proved futile and he moved his operation to his family's Peru Plantation (5, p. 656). 1926  Ford sold the property to William N. Beach who used it as a hunting preserve. Beach modernized the house and added large tracts of land to his plantation. He purchased White Oak Plantation, Lagrange Plantation, Fawn Hill Plantation, Retreat Plantation, and parts of Dover Plantation, Belle Isle Plantation and Mount Hope Plantation rolling all of these into Rice Hope (5, p. 656). 1955  William N. Beach died. 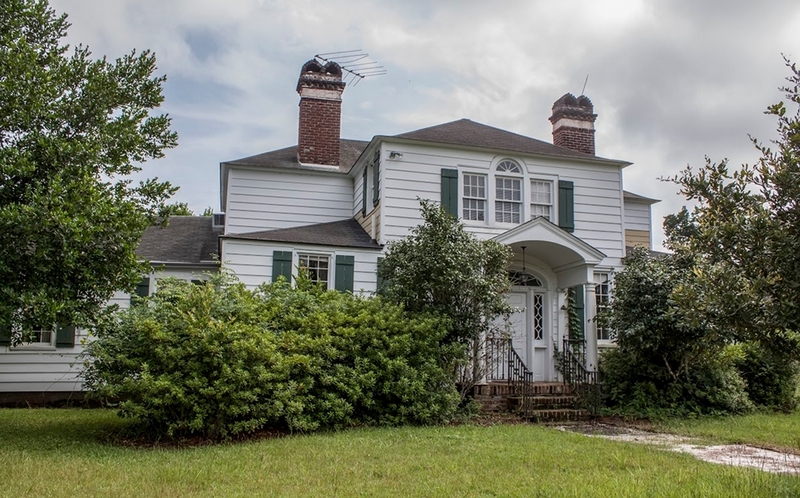 Part of the property was sold to Koppers Company for the timber with Mrs. Beach retaining the house and remander of the plantation (5, p. 656). 1960  Williams Furniture Corporation, based out of Sumter, purchased Rice Hope after Mrs. Beach's death (5, p. 656). 1969  Williams Furniture Corporation sold the house and 237 acres to a group of Charleston hunters - Herbert J. Butler, Thomas G. Buist, A.E. Geer Jr., B.H. Rutledge Moore, C. Allen Smith, and D. Van Smith (5, p. 656). 1982  The group of hunters sold the plantation to the Rice Hope Partners which whose members were - Craig Wardlaw, Wright Skinner III, Lee Jones, Tom Smith, John Nichols, and Jed Tiller (5, p. 656). At the time of Francis Kinloch's death in 1767, his probate inventory included a small building on the property. 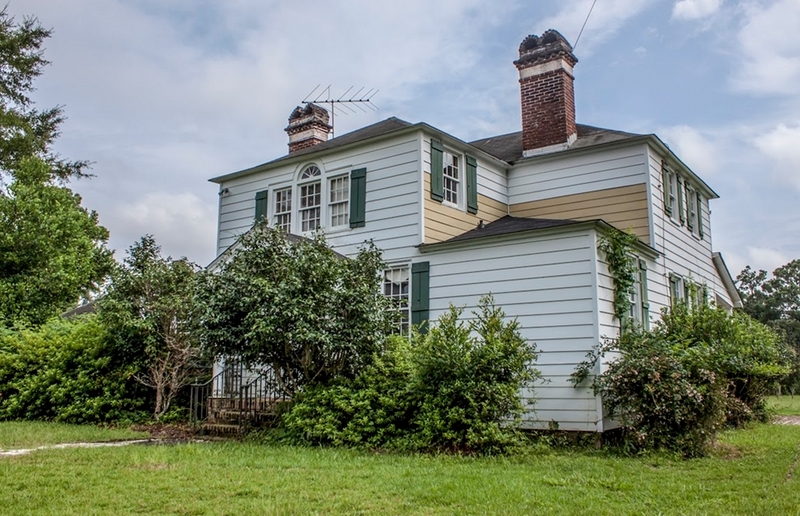 It is unclear if this building was a house or more of a plantation office. This building would be lost to fire (1). Circa 1836, Simons Lucas built a house at Rice Hope (1).